A couple weeks ago, when we were dying yarn at my house, Beth pulled out this awesome chart keeper she had purchased on Etsy. Filled with chart keeper envy, I asked her where she got it. Slipped Stitch Studios, she replied. Cut to me ordering my own the very next day! 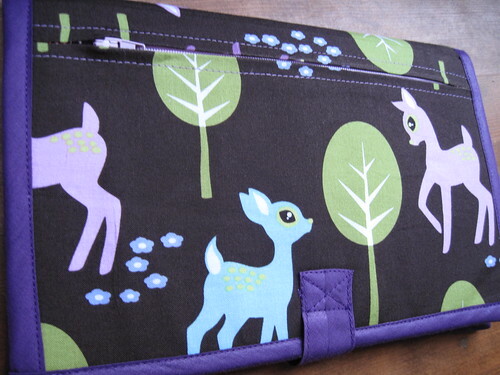 I could not resist the deer themed chart keeper. Looks like my back yard (with a lot less weeds!). 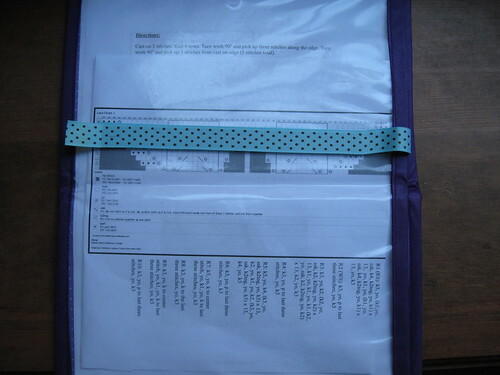 What I like about this chart keeper is the zipper pocket. 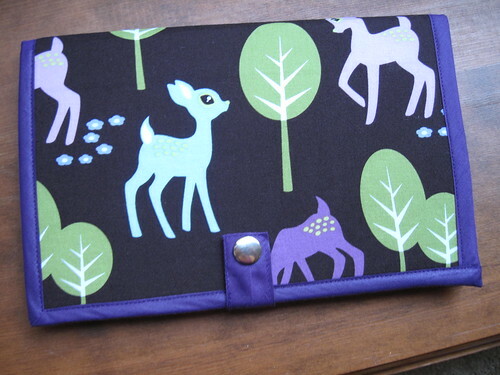 I also like that your whole pattern can slide right in the plastic cover. 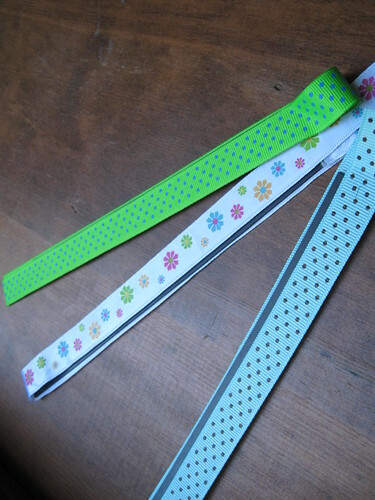 You can order the magnet ribbon thingies from the Slipped Stitch Etsy shop, but I already had a few. The one in the middle I got from my friend, Cathy, the two outside ones I got in a swap package last year. I am very excited about my latest Etsy purchase. I know I will be putting it to good use. Get anything good on Etsy lately?